The Flipkart-Walmart deal might’ve just set off a domino effect that could end up upending India’s retail sector. After Flipkart was acquired yesterday by Walmart for Rs. 1,34,000 crore in the biggest ever e-commerce deal anywhere in the world, Kishore Biyani’s Future Group has now said that it’s looking to sell a minority stake to a global retailer. 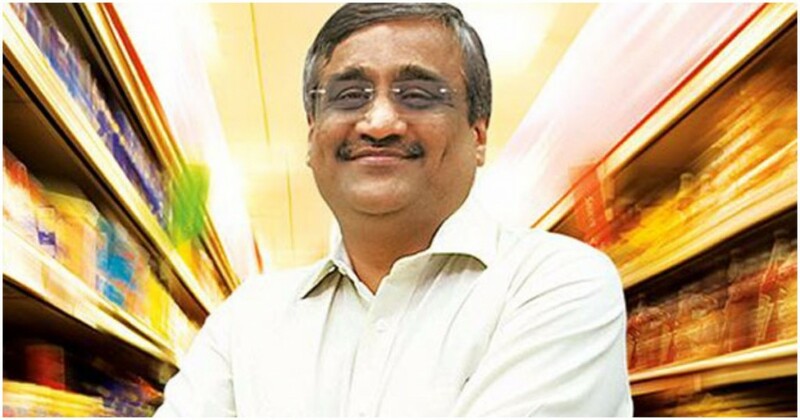 “I will sell a minority stake to the strongest global retailer,” Biyani told Economic Times. Biyani could look to sell as much as 10% Future Group to a strategic partner. And Biyani made no bones about the fact that his decision was influenced by the Flipkart-Walmart deal. “Our strategy had taken into account that something like this (the Walmart-Flipkart deal) could happen,” Biyani said. “We have to consider our position more carefully…we have a lead in this country,” he added. Biyani would be understandably nervous about Walmart’s entry into India, even if it’s come via Flipkart — Walmart is the biggest brick-and-mortar retailer in the world, and its business could compete directly with Future Group’s own business in India. Walmart, though, can’t set up stores in India just yet — India doesn’t allow foreign investment in multi-brand retail. But strategic investments into Indian companies could help it get a toehold into ancillary sectors, such as supply chains and warehousing. And there are ways to get around foreign retail requirements as well — Amazon managed to pick up a 5% stake in Shoppers Stop through its investment arm, not the e-commerce company. While investing in Shoppers Stop, Amazon’s investment arm had registered as a foreign portfolio investor, which allowed it to pick up a 10% stake in Indian entities. Over the last few months, Biyani has already been making moves to get into strategic partnerships with foreign firms — he’s reportedly had talks with both Amazon and Walmart, and even visited China to see Alibaba’s retail operations first-hand. He’s also been increasingly betting on technology to grow his retail business, a move that should appeal to foreign investors — through the Future Group’s Retail 3.0 push, Future Group stores will take orders through Facebook Messenger and WhatsApp, and use Machine Learning and AI to analyse customer preferences. The Future Group is also looking to use technology in more experimental projects — its clothing brand, fbb, recently livestreamed a fashion show in which users could click on widgets on the screen and immediately purchase the clothes that were being displayed. And Indian firms will need to shore up their technology capabilities with foreign players rapidly entering their markets — Biyani seems to think that the entry of foreign firms was now inevitable. “There are going to be alliances which will be formed,” he said. “We are reasonably strong in all categories we are in — food, fashion and home. We believe that our alliance will be the strongest one.” If that isn’t a sign that Biyani is looking for foreign partners, nothing is.